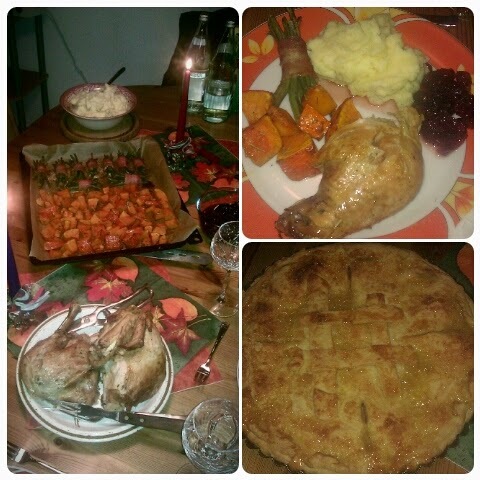 I cooked Thanksgiving Dinner for my family yesterday. In Germany we don’t celebrate Thanksgiving, but I enjoyed this tradition in the States, so I brought it over and thought my family would like it, too. We should have Thanksgiving more often. As I was standing in the kitchen almost all day I was really looking forward to the evening. Eating lots of good food and spending time with family. I didn’t look at all the work. I didn’t look at all the time and energy I invested. I was happy and excited to give. Seeing their happy faces and hearing their “O my gosh, this is such good food! We should have Thanksgiving more often!” I was glad. Giving can be so rewarding. Not only is it good food, there’s something about sharing meals and fellowship you can’t really explain. It is a gift we accept and give not often enough. Even though this world is in such desperate need of it. While I was cooking I was reminded of a story in the bible. A man prepares a big feast but none of his invited guests shows up. Instead of pouting he goes and invites people from the streets. Strangers. People who really needed and enjoyed a good meal. People who made this feast a most memorable moment and probably turning point in this man’s life. And if my table and hands are full – where are the people on the streets I can invite and give to? Where is the lonely neighbor that might enjoy a night of fellowship? Where is the stressed out mother that could really use a day off? Where is the friend that needs cheering up in the form of turkey and apple pie? Let’s be grateful that we can give. It doesn’t take much to turn someone’s day around or make it better. We have been given more than enough, and only if we give to others we realize the true joy of it. I am linking up with Kate Motaung’s Five Minute Friday today. Five Minutes of Writing. No Editing. Much sharing and encouraging. Aren't leftovers the best part of it? You could actually have a second Thanksgiving…I love sharing with others, especially good things! 🙂 Thanks for coming by, Anita! Thanks for stopping by! Lots of joy in giving! And there ALWAYS seems to be tons of leftovers after the meal–which means that more people could easily have been invited ;). I love that you're sharing a tradition with others–there's something special about gathering to give thanks. 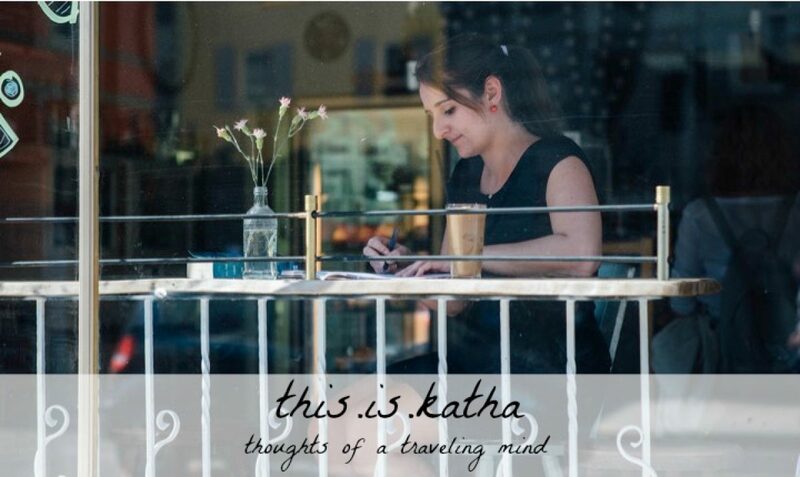 Truth right here, Katha >>> “We have been given more than enough, and only if we give to others we realize the true joy of it.” It is in the giving that we fully comprehend that we have been given to & thus find joy. I am so glad to have stopped here this morning from FMF. Thank you for sharing these words!